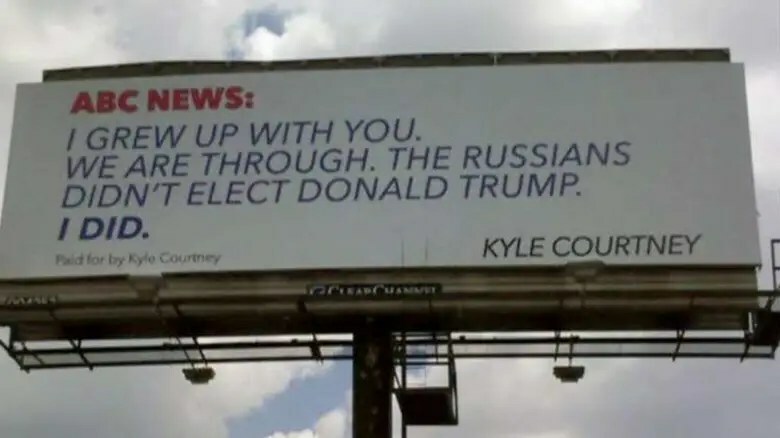 I was stricken by the tone of personal betrayal imparted by this billboard. I guess it was the “you” ending the first sentence. The short, clearly stated story linked to the pik is worth a look. This entry was posted in History and tagged ABC news, Russian hacking, the main-stream media by jackhammerjohn. Bookmark the permalink.